Sure, they already invented a Sriracha key chain—but that thing is bulky and kind of wack tbh. The alternative? Carrying an entire bottle of Sriracha in your purse, which is doable but also ridiculous. 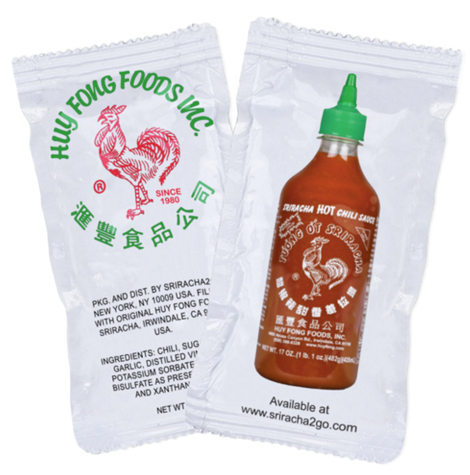 For all those Sriracha addicts out there, your prayers have been answered: Sriracha2Go has come out with extremely convenient single-serving packets of Rooster Sauce that you can stash in your purse, pocket, wallet, or fanny pack. Fifty packets will set you back $14.99, while 200 packets go for $34.99. Please, don’t sleep on Sriracha packets, they are so essential.